Writing about ATBU is so simple and direct. Things are not complex with their admission processes. Yet you must know step by step processes to gaining admission to the university. After all, admission could be FREE but not without doing your things rightly. I have produced very few students to this university in the last ten years. Anyway, candidates in the south-west would not just dream of going far north for their degrees unless it’s got frustrating to win a space down here. But a few times my students made attempts, it worked like magic. 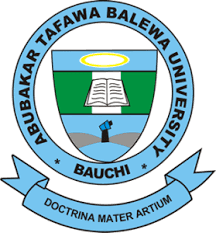 I’ll walk you through three steps to gaining admission to Abubakar Tafawa Balewa University Bauchi. Kindly pay attention and follow through. I can guarantee your admission here, if you won’t leave anything out of this guide. See to your O’level Results. 1. See to your O’level Results. Like any other universities, SSCE result is compulsory for admission. However, not all schools accept all O’level results. By this I mean, some schools only recon with WAEC, NECO, NABTEB and GCE. Some says you can use any O’level results, but they’re not faithful about it. They say that in order to hide things from the public or to avoid wrath from the concerned exams bodies. You need 5 credit passes in O’level subjects relevant to your proposed course in the school. The allows ordinary passes in SSCE (certain subjects) for some courses. JAMB brochure has details on this; see it online here. Conditions of O’level requirements for each course at ATBU are well detailed in JAMB brochure. You can check my post on “JAMB Brochure: How to Study it to Avoid Admission Errors” as a guide to know what look for in JAMB brochure. Choose the school as your first choice. I’m not sure if they’re made available by JAMB under second choice category. Even if it’s possible to choose them as second choice, please don’t. No school is accepting second choice candidates any longer. Truth be said, most schools cannot afford to accommodate all their first choice candidates. Why will they worry about second choice applicants? You only have ONE course to choose, then choose wisely. Of course, almost all candidates know what they want to study in the school before obtaining JAMB form. Is the course available at ATBU? What are the required SSCE subjects for it? What are the UTME subjects you must write for the course? Does ATBU have some conditions to her O’level and UTME subjects different from other schools? If however you don't want to study the brochure or you don't have access to one, use this JAMB eligibility status checker to see if you're qualified for the course you're chasing at the university. Using that method is faster and safer. Score 180 or above in your UTME. Most federal universities only accept 200 or above in UTME; the likes of UI, UNIBEN, UNILAG, OAU to mention a few. But your beloved ATBU is friendly with 180. Aren’t they? However, there’s a problem to that. Majority of applicants who had taken other schools requiring 200 or above but failed to meet up would finally do change of institutions to the likes of ATBU. This will then increase their applicants considerably and make admission more competitive. That's why you have to go far beyond 180 in order to stand a higher chance of being offered admission eventually. Till now, ATBU only conducted post UTME screening rather than exams. By this, I mean the school only asks you to fill form online when their post UTME form is on sales. Hence, no exams! Apart form the online screening, you're not to do any other thing than to start following your admission status on JAMB CAPS. If you're curious to know how they will give admission without any exams, ATBU will rate you based on your performance in SSCE, UTME results (and if you belong to their catchments or less educated states). I have covered catchment areas and less privilege states in my post, "Admissions Based on Educationally Less Developed States, Catchment Areas and Merit". Their calculation and selection analysis may not be made public. Yet, students on campus know they have been admitted justly. Kindly, visit, study and understand JAMB brochure or check your eligibility (as explained above) for further information. Experience has shown that ABTU's IJMB and Diploma candidates are more favoured in Direct Entry admission. However, this doesn't mean they don't consider outsiders. You're in the right place if you meet their requirements. Save yourself from being scammed - don’t look for cheap admission. Admission, to a university for that matter, shouldn’t be easier than this my brothers and sisters. No post UTME, only UTME and 180 or above. Then, what else do you want? I’m not saying you can’t see a lecturer to help you with admission at ATBU. But you’re more likely going to be scammed or left disappointed. Close your mind, face reality. Give ATBU good O’level result, 180 plus in UMTE, then see you on the list. NB: You may not be so lucky on their merit list (especially for some competitive courses) if you don’t belong to their catchment areas or less educated states.Knowing this, you may consider a change of course to a less competitive course.